Working towards a new inclusive peace and security policy! Events like the attacks in Brussels and Ankara, the fight against ISIS and the increasing numbers of refugees make the challenge we face in the field of peace and security very clear. 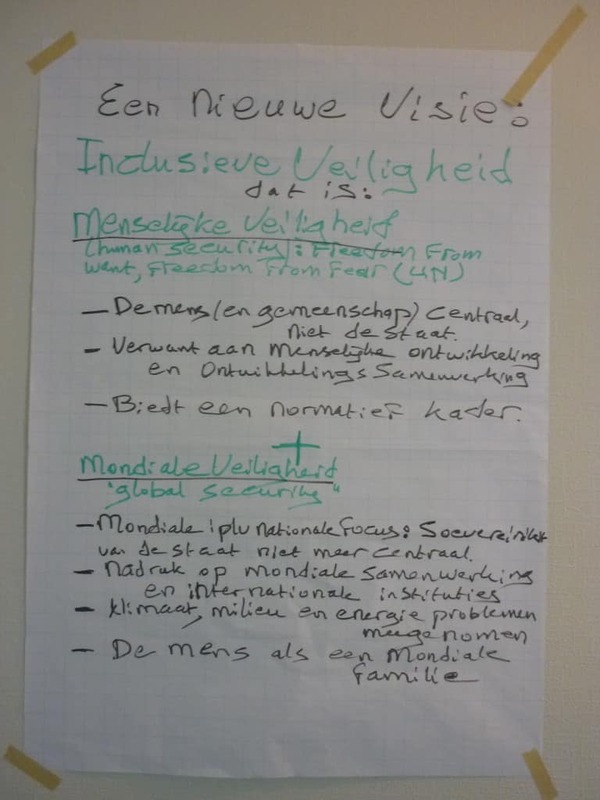 That was partly why it was so inspiring and challenging to facilitate the creation of a vision document about peace and security with twelve driven peace organisations on the 6th of April. A precondition for true security and just peace is that our peace and security policy is broadened in a way that it includes not only the security of other people, but also things like ecology, economy and sustainability. Peace here cannot exist without sufficient peace and wellbeing elsewhere in the world. In June, we will take this vision piece to the members of the peace organisations, politics and local networks to collaborate for a more effective way of peace. Do you want to be involved or would like to think along? Let us know!